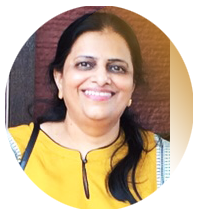 Dr. Sangeeta is a doctorate from Delhi University in 1989 and a certified management women entrepreneur from Indian School of Business, Hyderabad. She heads HR and Marketing activities of the company. She had been tirelessly working towards improving our academic systems having experience in teaching and research with publications in International & National reputed Journals to her credits. She is part of Women Entrepreneur Program at Cherie Blair foundation. 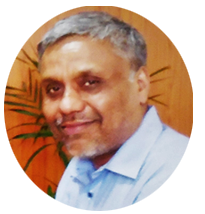 Arun, after doing graduation in Computer science and Electrical engineering from Delhi College of Engineering in 1981, has served at various positions in leading corporate companies. He has over 25 years of experience in software development and system analysis. This includes significant experience in integrated enterprise wide network application implementation on Microsoft and open source technologies. He has been continuously implementing OltErp in high ranking prestigious Business Schools and Universities since 1997. 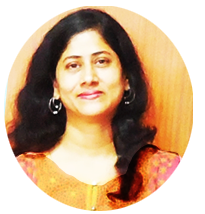 Anushri, after graduating in science has worked in leading corporates with more than 10 years of work experience in marketing & branding, creative designing, events conceptualization & customer interaction. It includes her significant work experience in supervising a team of developers for building, designing and maintaining web portals with British Telecom. Akash, after completing his B.Tech has worked for more than 7 years in IT Industry with companies like NIIT Ltd., Xperia Technologies, iYogi & Arvato Services etc. 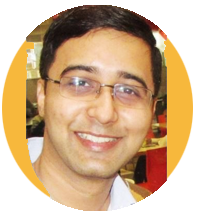 He has good experience in web application development using new technologies..